Join the Helen Rollason Cancer Charity for our Rural Ramble at The Forgotten Gardens of Easton Lodge on Saturday 13th April. 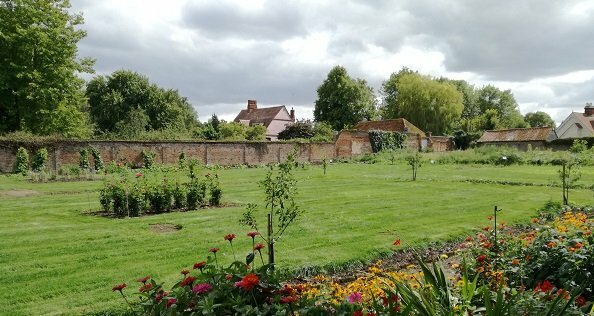 This is a unique opportunity to enjoy a beautiful walk around the surrounding countryside and The Forgotten Gardens of Easton Lodge, just outside Great Dunmow. There are three distance options for participants to choose from; 10 mile walk and garden visit, 4 mile walk and garden visit or a 1 mile walk family trail and garden visit. The gardens which are entirely maintained by volunteers, comprise of a walled kitchen garden dating back to the 18th century, a wild flowers area for the bees, formal gardens, beautiful carpets of snowdrops in February and expansive colourful displays of flowers in Spring and Summer. Situated a few minutes outside the historic market town of Great Dunmow, this promises to be a great day out for all the family, including dogs on leads. As part of the visit a delicious cream tea is included with each ticket. Nicola Bird, therapist at Helen Rollason Centre Rochelle House in Chelmsford is taking part in the event. “We are delighted that the Gardens are to be the focal point of the Helen Rollason Rural Ramble on Saturday 13th April. The Grade II listed Gardens are being lovingly restored by volunteers to enable the public to enjoy the wealth of history and biodiversity that the Gardens abound in. Helen Rollason Cancer Charity Fundraising Manager Kate Alden added. 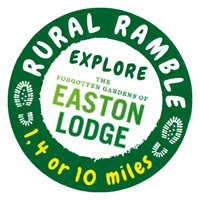 “We are all incredibly excited to be hosting our Rural Ramble in partnership with The Forgotten Gardens of Easton Lodge. We already have lots of people signed up and looking forward to a great day out – we’re keeping our fingers crossed for sunny skies and warm Spring weather! Adults and children can take part but as most of the route is off-road it is not suitable for buggies or wheelchairs. All entrants aged 16 years or under must be accompanied by an adult. Well behaved dogs are welcome both on the walks and on a lead in the gardens.